Located in the Costa Del Sol, the glamorous resort of Marbella is renowned as being the playground of the rich and famous. But there’s so much for even the average holidaymaker to enjoy in Marbella. The excellent climate, cosmopolitan atmosphere, beaches, old town, natural surroundings, Michelin star restaurants, leisure and shopping complexes are just a few of the many holiday attractions that this town has to offer. Marbella is located in the south of Spain, Costa del Sol in the region of Andalusia. Marbella is situated on the Mediterranean Sea, between Málaga and the Strait of Gibraltar, in the foothills of the Sierra Blanca. Visitors to Marbella are usually surprised to discover its old town with its narrow cobbled streets leading to pretty plazas. This charming town holds some fascinating shops, chic boutiques and lovely outdoor cafes. July is the hottest month in Marbella with an average monthly temperature of 24°C (75°F) and the coldest is January at 11°C (52°F) with the most daily sunshine hours at 14 in July. The wettest month is November with an average of 115mm of rain. Check out the weather forecast in Marbella for the next 7 days. The nearest airport to Marbella is Malaga Aiport and is about a 50 minute drive away. For various options on how to get to Marbella click here. 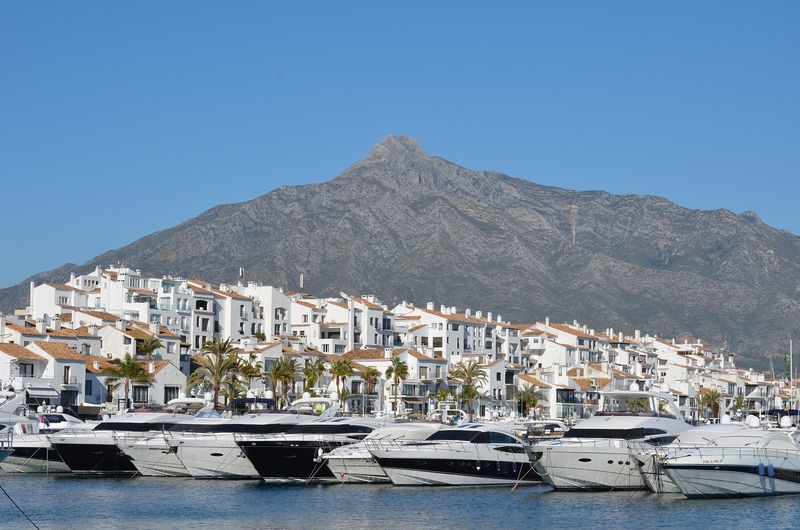 Thinking about purchasing a property in Marbella? Renting an apartment or villa for a holiday or long-term? Find the perfect property with of places to stay with our list of property sales agents, holiday rentals companies and long-term letting agents.